Remembering and remembrance are incredibly important to the labour movement. Trade unions hold their history dear and the hard fought battles of the past are positioned firmly in the minds of those who take pride in their allegiance in the present: cohort after cohort of novice activists are schooled in trade union history; the spectacle of beautifully crafted and deeply treasured lodge banners are raised high year after year; and typically the images of heroes and heroines of yesteryear, be it the Tolpuddle Martyrs or the Matchstick Girls, are chosen to adorn the meeting rooms and corridors of union offices. Across the South Wales coalfields, recognition of the significance of the industrial heritage of places is also now well established: works and their ruins, such as those at Blaenavon or Aberdulais are protected and preserved; and the monuments that mark the disasters of a bygone era, for example in Abertillery or Maerdy, are scattered across the landscape. This relationship between the labour movement today and its history, its living past, can also be seen in the stories trade unionists tell: those accounts of the past, which people draw on to position and shore up their commitment to the labour movement in the here and now. Our interest lies in exploring why people join trade unions and the people we have met and spoken with will often talk about their family or community history when they consider this question: they may remember the miners and their lanterns snaking across the mountainside as they were heading home at the end of a shift; tell of the ominous sounding of the colliery hooter heard across the valley and the eyes raised to the heavens in prayer; or simply recall their mam packing the meal for the working day in the morning, or scrubbing their dad’s back in a bath tub in front of the fire at night. These memories, and of course many, many more, tell of the everyday rhythms of life in a working valley. But an oral tradition has also emerged around a number of remarkable events that have become the chronological markers of labour history. For some of the people we have talked to the Chartists’ Newport rising of 1839 is one such focal point. Other defining moments include Churchill’s decision to tackle the coalminers by sending troops into the Rhondda in 1910, the colliery disaster at Senghenydd in 1913 and the structural unemployment which shook the coalfields during the depression of the 1920s. In more recent times the 1984-85 miners’ strike is remembered to situate and account for a present day allegiance to trade unionism. The recent decision by the Home office not to pursue an inquiry into the battle between striking miners and the state in Orgreave in 1984 has seen the strike (re)remembered once more. Of course, the strike was a defining moment of industrial relations history, and unsurprisingly some thirty years on it retains its place in popular memory, deeply embedded in our national consciousness. However, the strike has generated oral traditions, which circulate amongst particular people connected to particular places, and we are interested in exploring these local, collective memories of the strike further. To date we have conducted over forty biographical interviews with representatives of trade unions in South Wales. 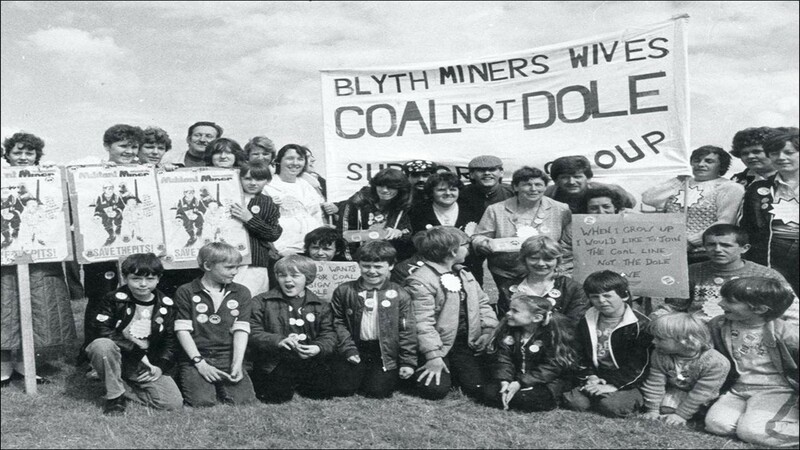 During these interviews many chose to share their memories of the 1984-1985 miners’ strike and its impact on their family, friends and community. Their accounts afford us an insight into the significance of collective memory, and specifically the oral tradition that is emerging around the strike, for generating collective understandings of the labour movement in the contemporary period.